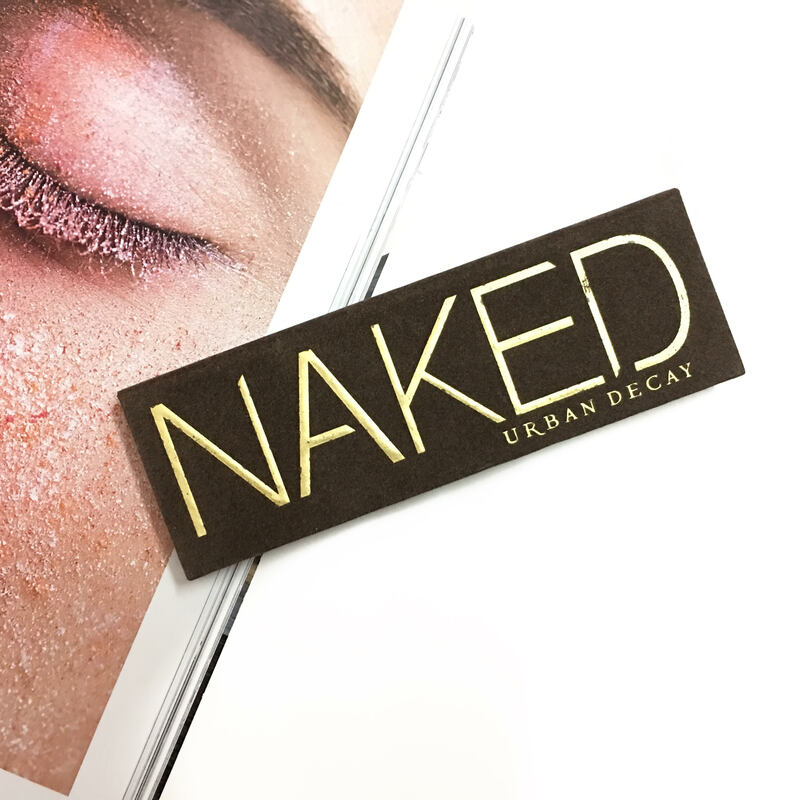 Urban Decay’s Naked Empire is ever growing and one that is untouchable (or so I believe!). 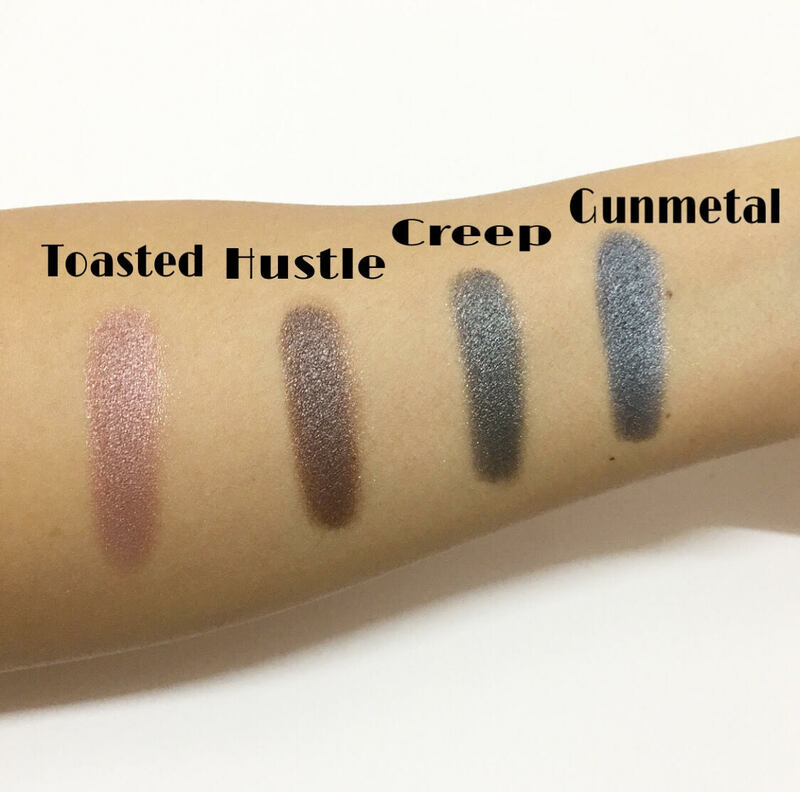 Every time there’s a new launch in the market from UD, the cult fan base listens…but I doubt if any other product from them (or even the entire world) has had the success that the NAKED line has had. I remember when I first got into makeup, everyone, & I mean literally ‘everyone’ was talking about the Urban Decay Naked Palettes. These so called cult-products were a must-have and from what I know, sold out before the company had a chance to restock them. They looked great, I agree, but I din’t quite understand at the time what the hype was all about and why every time a new Naked product was launched, makeup lovers around the world drooled & waited with baited breath. 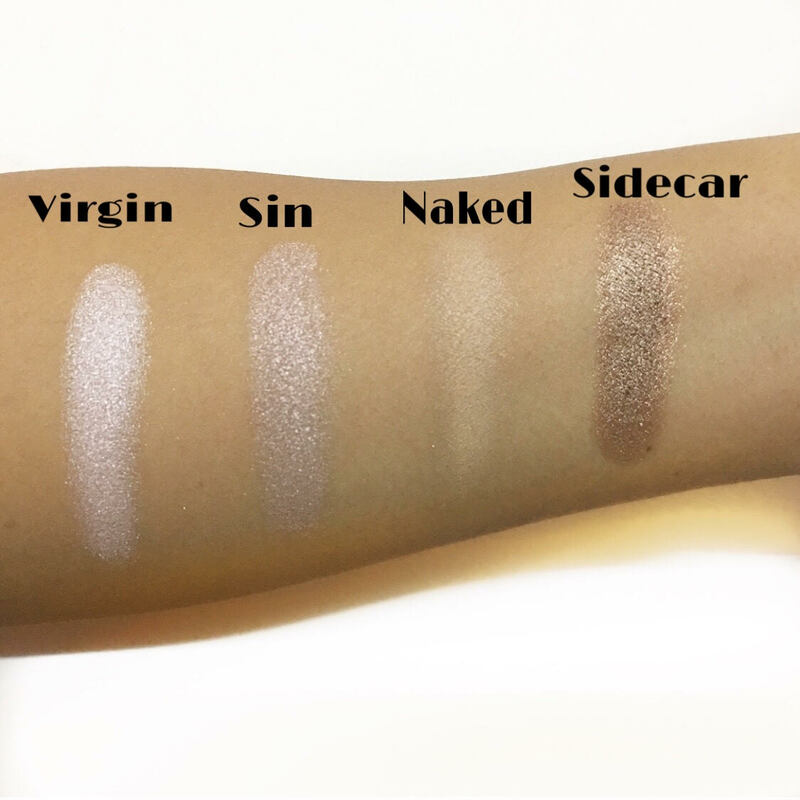 Well, now I know…and I know because I finally own my favourites from the NAKED line! Since I am a HUGE fan, I wanted to share my small collection with all of you and hope that you’ll see why this is definitely one of my FAVOURITES! 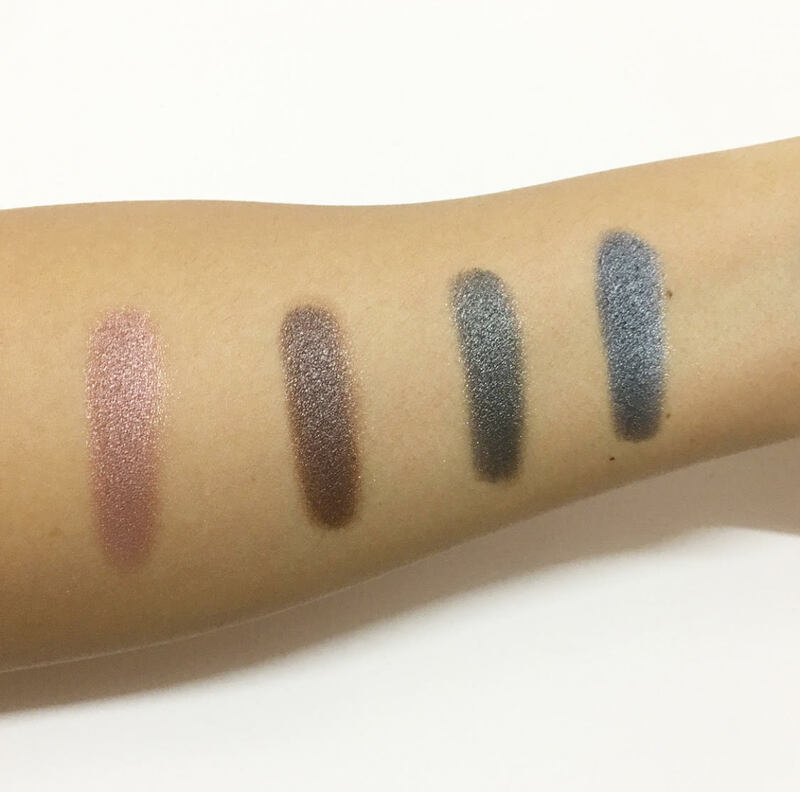 I’ve decided to not put all the Naked palettes in one article, but instead make a small series, where I’ll talk about each one individually and show you swatches so you can have a better idea of what they look like. **Let me state right here in the beginning that I am in no-way saying you must have ALL these palettes, I am just trying to share with you a close up and personal of each palette I own so that you can make an informed choice about which of these will suit YOU perfectly. 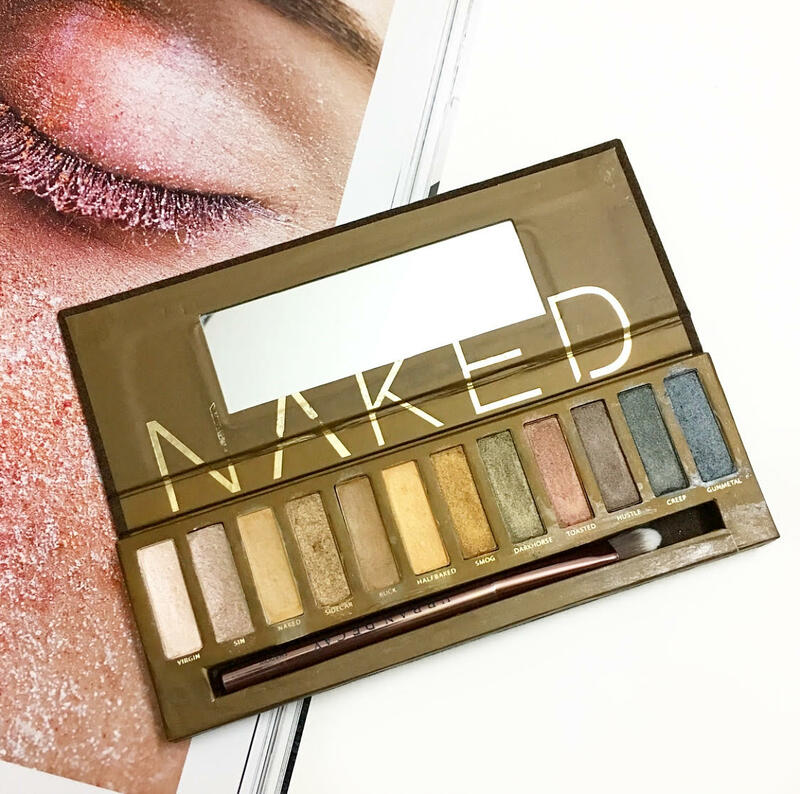 So let’s start with the first eyeshadow palette in this line, the Urban Decay Naked Palette – the makeup product that took the world by storm! This eyeshadow palette has the most beautiful packaging I’ve ever seen…the brown-chocolatey velvet case took my breath away! 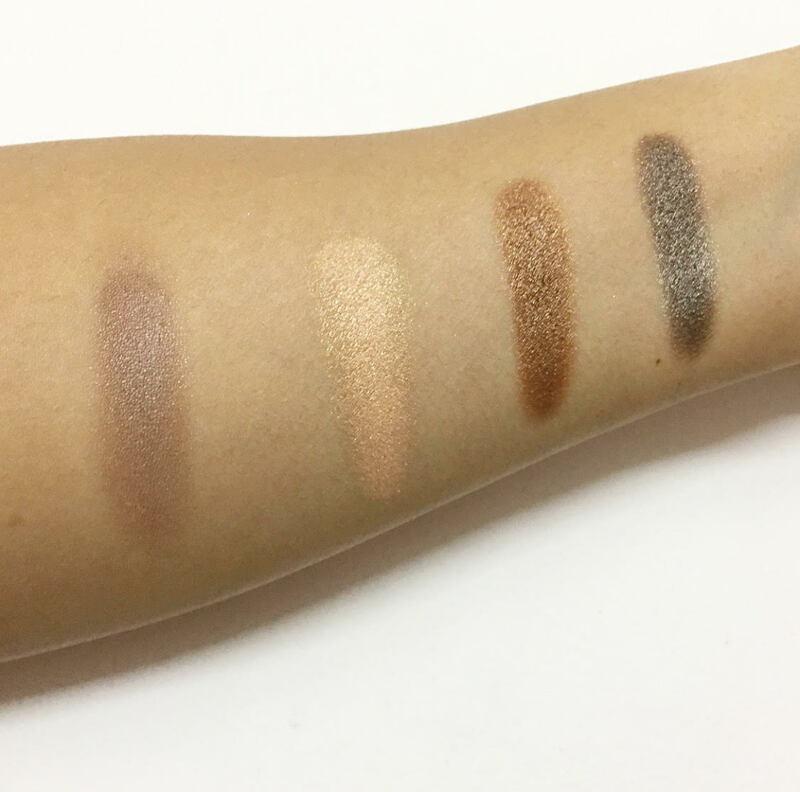 The palette includes 12 Eyeshadows in all – there are 10 shimmer shades and 2 matte shades. The palette is also very neutral as well as warm-toned. There’s a magnetic closure on the casing and also a decent sized mirror inside. What’s great about these palettes is that they do not come with the standard application sponges you get inside makeup palettes, instead they come with a beautiful eyeshadow brush inside the palette which says the name of the palette itself (I mean how cool is that!?). Another impressive detail on these palettes is that each shade has been given a name (all excellent choices!) and these are engraved beneath each shade inside the palette. Virgin, Sin, Naked (matte shade), Sidecar, Buck (matte shade), Half-Baked, Smog, Darkhorse, Toasted, Hustle, Creep & Gunmetal. Personally, I’d say that if you have a warm skin-tone, this baby is for you! 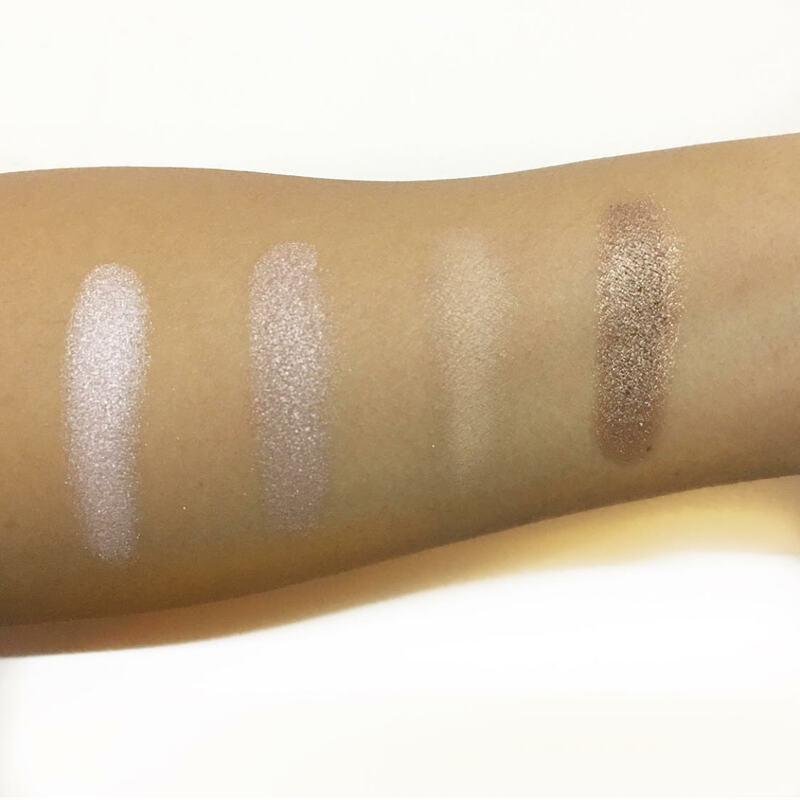 The quality of these eyeshadows is amazing…they are creamy and blend like a dream! My favourites would be the shimmer shades, simply because they are buttery soft to the touch and highly pigmented. 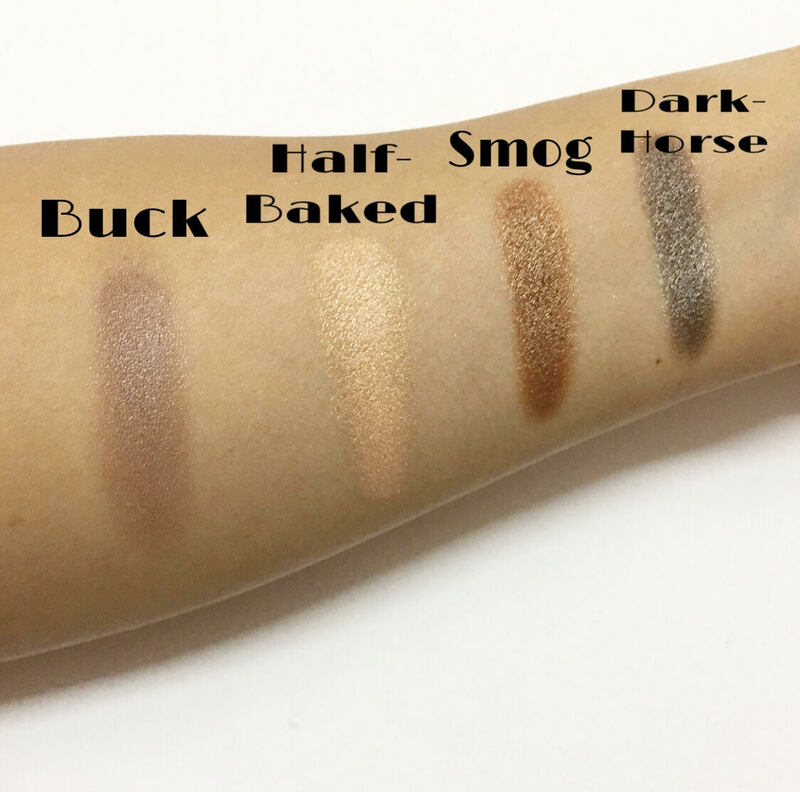 On the other hand, I feel that the two shades that are matte (namely Naked and Buck) feel slightly powdery and are much less pigmented compared to the shimmer shadows. All in all, I absolute LOVE this palette and feel everyone who loves makeup- be that a beginner, novice, makeup enthusiast or a makeup artist needs to have this palette in their collection. I love the fact that it is so basic and yet so unique. I hope the pictures have done justice to this palette and show you just how extraordinary it is! 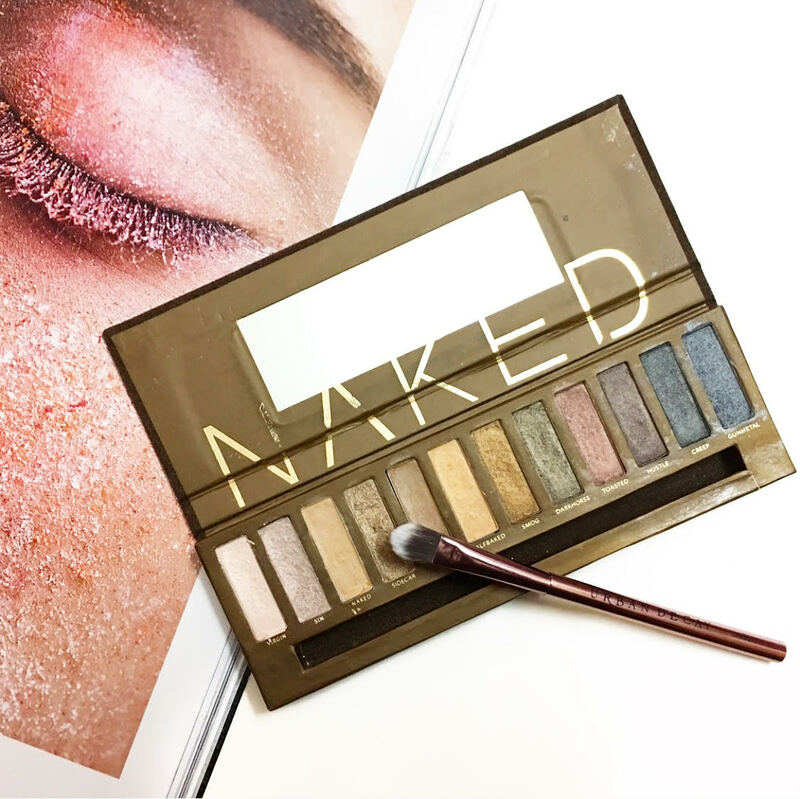 Trust me… the Urban Decay Naked Palette (once yours) will NEVER disappoint you! Here’s a few more pictures of this baby from my Instagram to show how much I love and use this palette! Much Love from the palette- junkie!